Central Health has prioritized community engagement since the inception of the Downtown Campus redevelopment project. Community engagement efforts kicked off in June 2014 with a community open house to present initial information about the project. Since then, Central Health has engaged thousands of residents in the planning process and solicited feedback using a variety of tools, including community forums, neighborhood and stakeholder meetings, surveys, and online updates via a website and e-newsletter. Community feedback from public engagement efforts has helped shape and will continue to guide the planning process and proposed site plan. Below are five key themes that emerged from the community conversations and surveys. 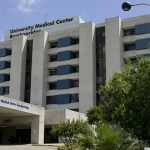 Community members are largely in favor of the project and feel that the creation of the Dell Medical School at The University of Texas at Austin and the adjoining Dell Seton Medical Center and teaching hospital will bring benefit to the community. Most community members support mixed-use development for the property that would include medical uses; space for medical research and innovation; spaces that create a sense of community; and other uses that provide revenue for Central Health to carry out its mission. Most community members prefer health care services close to home in locations that are easy to access and include ample free parking. The campus should be designed for accessibility and connectivity with surrounding areas. Walkability, public transportation, and accessible parking accommodations should be considered on the campus. The campus should also serve as a connective corridor to the new Medical District north of 15th Street, the revitalized green space of Waterloo Park and Waller Creek, as well as to existing resources in the Red River District and East Austin. The campus should be an inclusive hub of activity that provides opportunities for job growth, innovation, retail, and other uses. It should be designed in a way that feels welcoming and inclusive to all members of the community. In consideration that all Travis County residents stand to benefit from the Downtown Campus redevelopment project, Central Health designed an ongoing, multi-pronged community engagement effort to cast a wide net to inform, engage, and partner with many segments of the population. Central Health is utilizing a variety of tools to solicit community input and gauge public support of the project, including (1) Large scale community events; (2) Small stakeholder meetings; (3) Surveys via phone, in person at health centers, neighborhood canvassing, in person at neighborhood meetings, and online; and (4) Creation of a dedicated website. In total, 1,779 participants completed surveys. In addition to events and surveys, Central Health provides updates on progress to stakeholders, elected officials, and the general public via e-newsletter updates. On Oct. 26, 2015, Central Health hosted two open houses for the Downtown Campus redevelopment project. 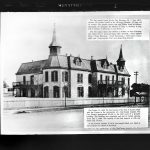 The first Open House was located in Crail Hall at St. David’s Episcopal Church, located at 301 E. 8th St., Austin, and was held from 11 a.m. to 1 p.m. The second Open House was located at Central Health’s main offices, located at 1111 E. Cesar Chavez St., Austin, and was held from 4 to 7 p.m. The purpose of the open houses was to give community members an update on the current planning for the Downtown Campus and an opportunity to provide feedback. Through this multi-pronged approach to community engagement, Central Health has allowed for the inclusion of many voices and opinions. The process does not have an end date, rather, it will continue in different forms as the project progresses. 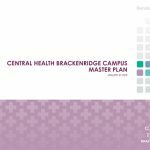 As new details of the project emerge, Central Health intends to continue to solicit public input and provide regular updates through various channels. Want to stay up to date on the Central Health Downtown Campus and ways to get involved? Sign up for email updates.